This unusual necklace matches tawny tigerseye with lemon quartz and pearls, and intersperses them with unique hand-carved wooden beads from Japan. 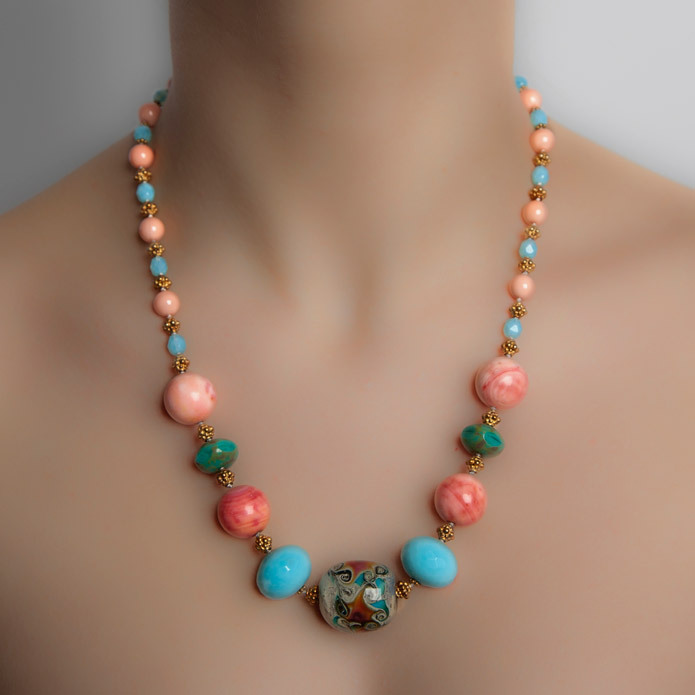 The milky pinks and blues of this classic beaded necklace might be just as much at home in the jewel caskets of Marie Antoinette, as in a modern home. As simple in its construction as its materials, this piece lets the jewels stand gloriously alone. Palely luminous and deceptively simple, the clean lines of this single-strand necklace allow the agate to stand out beautifully.